Peter Bergen’s "The Longest War"
Is al-Qaeda still a threat to America? 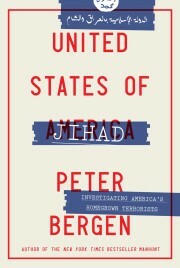 In his important history of the war on terrorism, "The Longest War," Peter Bergen aims to reassure his readers that al-Qaeda is significantly weakened. The reason for the diminished threat, he argues, is not that the U.S. government has been clever or effective, but that, fortunately for his enemies, Osama bin Laden has made so many mistakes. Among these are al-Qaeda’s habit of killing Muslims and its inability to articulate a positive vision for its followers (or make the kinds of compromises necessary for running a political party). Bergen, a longtime student of terrorism who knows South Asia well, usefully distinguishes bin Laden’s tactical skill, which he displayed with the World Trade Center and Pentagon attacks, from his strategic failures, which he has displayed since. The greatest strength of "The Longest War" is that it provides a detailed history of what has occurred since al-Qaeda first appeared on the terrorist scene. Uniquely, it tells the history from three sides: the Americans involved in prosecuting the war; ordinary Muslims, the vast majority of whom remain unmoved by bin Laden’s siren call; and the many terrorists and sympathizers whom Bergen has sought out in the field or whose voluminous writings he expertly synthesizes. "The Longest War" is also a very good read. The book begins in the months preceding Sept. 11, 2001, when intelligence about al-Qaeda’s plan to attack the United States was accumulating. We’ve heard the story before – the intelligence briefings that were ignored, the warnings that went unheeded. But Bergen tells the story with passion and with new details about some of the heroic individuals who tried to rouse the Bush administration from its "strangely somnambulant" state. Bergen was one of the rare journalists who understood the significance of al-Qaeda, long before Sept. 11. His frustration with the Bush administration’s overconfidence is palpable. The White House had plenty of information and ample warning, Bergen complains. But Bush and his advisers were stuck in a Cold War mindset. "They just didn’t get it." Bergen’s account of the battle of Tora Bora, "the most consequential single battle of the war on terrorism," when al-Qaeda was under siege in Afghanistan, is riveting. Here, too, the story is told from all sides. We learn about the frustrations of U.S. intelligence and military personnel, whose plea for a mere 800 additional Army Rangers was rebuffed, followed by al-Qaeda’s "great escape" through a back door to Pakistan. We hear details about the rag-tag Afghan militia, whose allegiance to the United States was wobbly at best. Bergen quotes Muhammad Musa, "a laconic, massively built commander" who led 600 Afghan soldiers to the Tora Bora front lines, on the fanatical braveness of al-Qaeda’s fighters. "When we captured them, they committed suicide with grenades," Musa recalled. Bergen details the significant blows suffered by the terrorists, even as many of them fled to relative safety in Pakistan. He provides a nuanced picture of America’s complex relationship with Pakistan. He also provides new details about the debate leading up to the surge in Iraq, often told from the perspective of the individuals involved. Bergen strongly supports a similar surge in Afghanistan. Even readers who disagree with his conclusions will find his arguments compelling. He has spent a lot of time in Afghanistan, and it shows. But the book strikes me as somewhat clumsy is in its cavalier approach to the people involved in the "longest war." The actors are portrayed as one-dimensional caricatures – either heroes or villains. Bergen’s fellow journalists and experts are prone to "hyperbolic reporting" of terrorists’ attempts to acquire chemical weapons and "hysterical analysis" of Pakistan, which Bergen points out is "not poised for an Islamist takeover similar to what had happened to the Shah’s Iran." (Never mind that these experts were not predicting an Islamist takeover, but warning about the threatening evolution of Pakistan’s jihadi groups.) Bush administration officials are subjected to special ridicule for their ignorance of how the world had changed since the Cold War. Bergen’s tone suggests a comedy of errors, but there is tragedy here, too. In the early years of the war on terror, I also criticized these same officials for their inability to recognize that the world had changed and that non-state actors now represented the most significant threat to U.S. national security. But in "The Longest War," Bergen aims to take a longer view. It seems to me that the more interesting lesson, 10 years after the Sept. 11 attacks, is not the naivete of these particular officials, but how difficult it is for all of us to adjust to the ever-increasing pace of change in the nature of warfare. Yes, the intelligence was available, and yes, these officials were repeatedly warned. But surprise attacks do not arise from too little information too late, but from too much information, too soon. What Bergen seems to be missing is the role of fear. When you are responsible for protecting the lives of others, especially defenseless civilians, fear takes on a new dimension, sometimes leading to heroism, but often leading to errors of judgment. This is not the first time that a frightening national humiliation, of the kind America suffered on Sept. 11, provoked self-defeating over-reaction and aggression. Journalists have the luxury of standing apart, observing the fear of others and watching them flail or fail. These lessons, which Bergen fails to draw from the comprehensive history he has laid out for us, are nonetheless more important, it seems to me, than the failings of the individuals he lampoons. Bergen would have benefited from a more nuanced appreciation of the challenges faced by those on the front lines, charged with waging war against a new kind of enemy, whose principal weapon is not bombs or rockets, but fear. Jessica Stern is a member of the Hoover Institution’s Task Force on National Security and Law and the author of "Denial: A Memoir of Terror."